The Windows Phone app for the 30th Olympiad in London is really neat. On the top is a countdown to Olympic Games 2012. The schedule can be filtered using the venues, sporty date or even oil the game schedule. One can also learn about all the countries participating in the games along with medals won since the first games in Athens in 1896 and details of participation. There is also a medal tally and latest news, hut this will be updated only when the games kick off. On Android phones, there is a fun zone where one can read as well as leave com ments and share opinions with others and learn about interesting facts associ ated with the Games. There are loads of trivia related to the sporting extravangaza. Lastly, users can also learn about legendary Olympians like Mark Spitz, Paul Elvstrom, Maria Grozdev, etc. Want to keep the London Olympics schedule handy? Download this app that features the complete schedule for the games. Since there is a time difference between UK and India, the app will tell you the time of an event in IST. While you can look for the events lined up for a particular date, there is also the option to choose the event/sport, read a bit about it and then view the schedule. The time of the event is listed along with the venue. If you don’t want to miss a particular event, there is the option of scheduling a reminder. 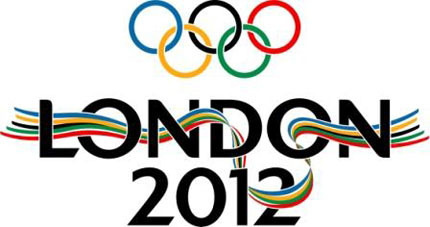 The official London Olympics 2012 offers a pocket guide to the world’s largest sporting event. However, the ini tial download is around 5MB. And the full installation takes up dose to 80MB data. Hence, we will recommend you use Wi-Fi or 3G for this one. The app features almost everything you would need to know about the Games. In case you are in London for the event, it will also be a handy guide. The app focuses on everything from the torch relay to the main Olympic events to the Paralympics, the opening and closing ceremonies along with the fringe attractions like cultural events, and city and community celebrations taking place in London during the Games. It also has full up-to-date event list ings in the UK. lt will load maps when needed, but re quires data connectivity. Developed by eGaming Consulting, this application will offer you full access to the medals tally at Olympics 2012. Launching the app allows you to choose the home country along with two others you want to keep track of. Once done, the main page displays the num ber of Gold, Silver and Bronze medals won by the country. Swiping the screen shows the other two countries as well. At the bottom of the page are tables which will be populated once the games start. Developed by Apalya technolo gies, this application will help you keep abreast with the events at the London Olympics on your phone. Free to download, it streams live TV over Wi-Fi and 3G networks. There is a wide range of channels available under different categories such as entertainment, sports, news, etc. But watching live TV or stream ing video will incur data charges. Also, this service is free only for the first seven days after which one has to subscribe for the channels they wish to watch. On Android, the app can be downloaded by searching for Myplex Now, Live Mobile TV..